By prohibiting Durga idol immersion, has Mamata Banerjee overplayed her secular card? The West Bengal government's attempt to ban the immersion of Durga idols on 30 September and 1 October (the days when Vijaya Dashmi and Muharram will be observed) has snowballed into a political slugfest of sorts. On one hand, the BJP and RSS are accusing Chief Minister Mamata Banerjee of using Hindu festivals as a plank for minority appeasement and furthering the political agenda of her party. Mamata, on the other hand, claimed that her decision was taken to ensure communal harmony in the festive season. "I do not believe in appeasement. These comments are deeply insulting. I believe in the religion of humanity that talks about the harmony among all the religions," she was quoted as saying by India Today. Mamata had prohibited the immersion of Durga idols after 6 pm on 30 September and 1 October on account of Muharram. The Calcutta High Court struck down this order, allowing immersion on all days. While criticising the chief minister, West Bengal BJP president Dilip Ghosh asked, "Is the West Bengal government gradually turning into a Talibani administration?" RSS had also claimed that the government's order would be disobeyed. "Hindus in West Bengal have decided not to listen to Mamata," Jishnu Basu, RSS secretary for South Bengal said, according to Scroll. Mamata has perhaps put herself in a precarious position in an attempt to appear secular, and the growing saffron footprint in the state has made it even difficult for her to play the secularism card, without running the risk of handing over the Hindu vote bank to the BJP. According to Deccan Chronicle, RSS has expanded base rapidly in the state. From mere 580 shakhas in 2011, the saffron organisation today has over 1,500 branches with thousands of cadres in its folds. And BJP making inroads in the state is apparently not going down well with Mamata, who only had to deal with the Left so far. A venue booked in Kolkata to host an event featuring RSS chief Mohan Bhagwat was also cancelled by the state authorities, allegedly to circumscribe Sangh's efforts to expand base. According to an NDTV report, the Mahajati Sadan, run by the state government, was booked in May for a programme on 3 October to mark the 150th birth anniversary of Sister Nivedita - an Irish social worker who spent her life in India as a disciple of Swami Vivekananda. The booking of the Sadan was cancelled a month before the event. Earlier in January this year, the Kolkata police had denied permission to Bhagwat's rally, saying it was in the interest of "general security and public order". However, Bhagwat was later allowed to hold the event after Calcutta High Court's intervention. The court's decision to overturn some of the Mamata government's orders highlight the logical inadequacies in her argument — for example, banning BJP-RSS events just because it raised "security concerns" in the state. While revoking the state government's order on Durga idol immersion, the court said while it didn't dispute the state's right to regulate, it couldn't be at the cost of religious rights. "If you say there is complete harmony, are you (the state administration) not creating a line of division between the two communities by your action?" the court questioned. However, the chief minister maintained that she observes the rituals of all communities with equal enthusiasm and believe in the religion of humanity. 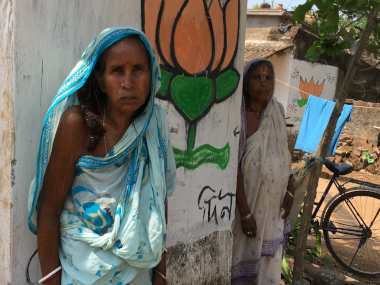 BJP and TMC have been at two pole ends of politics in India, with each accusing the other of playing the communal card. Ever since the BJP assumed power at the Centre, (except a few days of bonhomie) Mamata has been at loggerheads with the government over several occasions. From demonetisation to accusations of propagating right-wing-politics to imposition of Hindi, Mamata's instances of belligerence against the BJP are far too many. 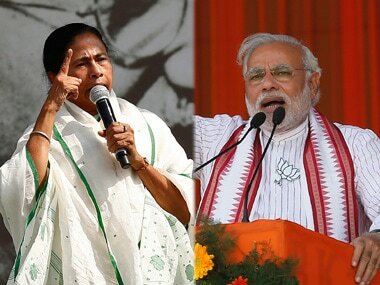 Politically Mamata finds it difficult to cosy up to Narendra Modi and Amit Shah because she believes their inclination towards the Right won't serve her own agenda. Meanwhile, her national ambitions have been an open secret for a long time. She wants to be in the power corridor of Delhi and not just be limited to the shores of Bay of Bengal alone. Therefore, if an alliance with the party in power was out of question, Mamata needed to be the strongest voice in BJP's opposition, to negotiate some space in national politics. 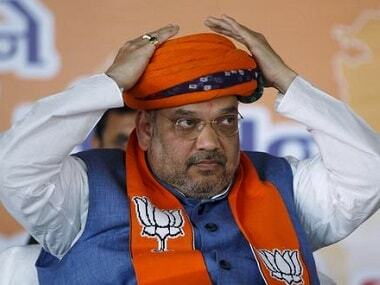 Since BJP is largely seen as a party which is staunchly nationalistic and panders mostly to Right-wing politics, Mamata's appeasement politics comes as a counter to the BJP, and the leader may well aspire to claim a stake in the power at New Delhi, even if with the help of other parties. Such is Mamata's abhorrence of the BJP that the leader, known for her anathema to the Left, did not shy away from towing the Communist line in her freshly-drafted anti-BJP politics. Mamata had also challenged the BJP to amend the 'secular' Constitution. "Those who want to delete the word 'secular' from the Constitution should bring an amendment… even that will be defeated," The Financial Express quoted her as saying. According to The Times of India, this also stems from Mamata's recognition of Muslims as her party's essential vote base. "That base was earlier with the CPM. 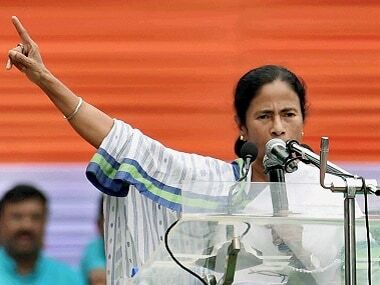 It is possible Mamata feels that she has to go out of her way for the minority community or it would migrate back to the Left," the report said. Mamata has also refrained from commenting on the landmark Triple Talaq verdict. A TMC leader, however, said that the judges were not qualified to pass verdict on a 1,400-year-old practice endorsed by Islamic religious texts, Livemint reported. The Muslims have also backed Mamata because of her secular credentials, a TMC leader told Livemint. Canceling RSS events and prohibiting Durga idol immersion is possibly Mamata's attempt to retain that vote bank. Given her strong stance against the BJP and the RSS, Mamata might have overplayed her secular card and it is possibly time for her to re-evaluate her strategy. 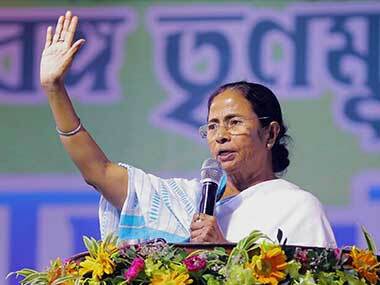 1By prohibiting Durga idol immersion, has Mamata Banerjee overplayed her secular card?